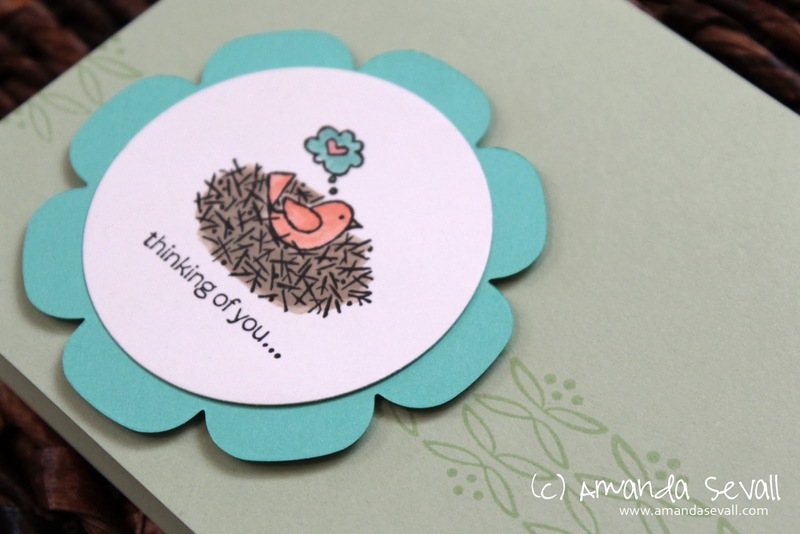 Another simple, easy to assemble card that would work for any of the stamps in this set, For the Birds. On the inside you could stamp a Valentine or missing you sentiment as well. Pretty! I really like the tone-on-tone background.